As Laparotomy #3 approaches next week, I guess I should be more anticipatory of said procedure? It honestly feels like it’s not really happening at all. 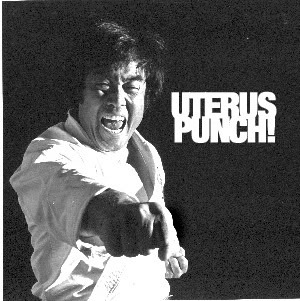 Like, next week I won’t have my left ovary removed and be cut open yet again. It must be more of a “outta sight, outta mind” type thing. Oh well. It will arrive soon enough. I have been more focused these past months on running a 5K than hopefully becoming a mom. It’s been a welcome distraction and a wonderful experience all around. I don’t think I have the words to accurately describe what it felt like to cross the finish line, hand in hand with my guy. We worked and trained and ran and ran and ran for months to get to that point, and it was worth every shin splint and stitch. We might not be able to have our own children, but goddamnit, we worked on this thing together and we reached our goal. That, in and of itself, was a huge accomplishment for us…and we won’t shut up about it. LoL. So…after recovery, look out 10K…we’re comin’ for ya! 1. How long would you stay in a brain numbing dead end job in a crap area that pays dirt, with people you mostly tolerate, and offers no advancement whatsoever but provides health insurance? 2. Has anyone ever dealt with being between jobs without insurance or paid for theirs out of pocket during fertility treatments? 3. Any advice for coping with #1 after 3 years?